Hawaiian culture first originated in older areas of Polynesia, islands of the Western Pacific, and along the edges of Asia. The first settlers to come to Hawaii settled in 300-600 AD on the Circa Islands. The settlers were known for their ancient Polynesian traditions and lifestyles. As time went on in order to adapt to their new island home the Polynesians of Hawaii formed new traditions such as proficiency in surfing, and they also adapted their beliefs by adding new gods such as Pele to their pantheon. As time further went on the Polynesian Hawaiian culture grew in response to Oahu’s forests, coral reefs, Molokai’s shallow off-shore waters, Kauai’s steep valleys, and Maui’s high summit. Another distinct part of the Hawaiian culture is their ever changing volcanoes. Over the years Polynesians have become artistic masters from kappa making, feather work, and performing hula. Just as the lush and astounding Hawaiian plants and animals are known to only exist in Hawaii, the Polynesian society has developed the same reputation. Therefore, differences between Hawaii and the larger Polynesian family grew more apparent once the era of transpacific migrants ended . Today, Hawaiian culture—which shares its roots with that of other Pacific Islands—has striven nonetheless to distinguish itself in today’s world through the combined efforts of the government, tourism industry, and native peoples of Hawaii (Hawaii Tourism Authority). Hawaiian culture is expressed through music, art, dance, food, and festivals (see the official travel site for the State of Hawaii). The Hawaiian Culture Initiative, spearheaded by the Native Hawaiian Hospitality Association, developed and published an action plan in 2007. The plan was “an effort to integrate and perpetuate Hawaiian culture, historic perspective and values throughout the state visitor industry” (Hawaii Tourism Authority, p. 3). The plan delineates the following about the relationship between tourism and preserving Hawaiian culture: (1) A healthy host Hawaiian culture contributes to a healthy visitor industry. (2) Tourism can help perpetuate the Hawaiian culture – or help dilute it. (3) Healthy communities lead to sustainable tourism. (4) Preserving Hawai‘i’s natural resources is central to Hawaiian values. (5) A sustainable environment supports sustainable tourism (Hawaii Tourism Authority, pp. 3-4). Hawaii welcomes visitors, but seeks to maintain its cultural integrity and preserve the natural beauty of the temperate island. Native Hawaiians define themselves by their relationships to each other, their ancestors and their land. Without the connection of all these things, Hawaiians feel incomplete. Not only do they depend on these bonds, but being Hawaiian involves nurturing and honoring these ties. Every person is responsible to be an active part of society. In doing so, Hawaiians are expected to use their talents to the benefit of the entire family or Ohana (oh-HAH-nah) (literally, family). Ohana is defined as a group of both closely and distantly related people who share nearly everything, from land, food, children and status. Sharing is central to the Hawaiian values because they believe it prevents individual decline. Hawaiians embrace the family as the basic unit of society. Family to Hawaiians is a much broader term than being just blood related. The Hawaiian Ohana encompasses much more than immediate family, this includes those individuals who share a common sense of aloha (a’lo.ha) (love and compassion). These bonds that Hawaiians share cannot be broken, even by death. Remembering their ancestors is a vital part of who they are, they celebrate the lives of their ancestors by chanting and singing. By fulfilling their duties to the Ohana and cherishing what others have done to make their land a better place, Hawaiians increase their mana (ma:na) (spirituality) . Hawaiians believe that the values they embrace are at the heart of their culture. Among many others, the human values that guide Hawaiian culture include caring (Malama); love, compassion, and respect (Aloha); sharing and generosity (Lokomaikai); and a sense of justice (Naau Pono) (Salzer, 2014) . As mentioned, family ties create a sense of loyalty and form the basis of the Hawaiian culture. The family theme carries throughout other values such as care for home, living a life of balance between human need and nature, connection to ancestors, stewardship, positivity, trustworthiness, sense of community, and action (Salzer, 2014) . Hawaiians “consider themselves stewards of the land taking their turn protecting it for their children” (Salzer, 2014) . It has been suggested that leadership qualities in Hawaiian youth should reflect the heart rather than the head—characteristics such as integrity, compassion, generosity, and humility rather than power, wealth, intelligence, and expertise (Chun, 2013) . These qualities reflect the values of the Hawaiian people. The world sees Hawaiians, generally, as “welcoming, caring, agreeable, humble, generous, honorable, devoted, and loving” (Chun, 2013) . Today Hawaiian values and beliefs are not only based on the native Hawaiian, but on a diverse population. People from all over the globe have chosen to make Hawaii their home. No single ethnic group makes up more than fifty percent of its population. Although there are not many native Hawaiians left, the Polynesian influence still remains and many traditions adopted . The beliefs of wellness that the Hawaiians still value today come from the early settlers of Hawaii, the Polynesians. Their concept of wellness incorporates Pono (po:no), meaning in order for a person to have proper wellness, the physical, environmental, spiritual, emotional, social, and interpersonal aspects of life must all be in balance. Here are the differences between the beliefs of Traditional Hawaiian healing practices and Western healing practices: Western Healing Practices: Focus on physical/psychological signs, symptoms and causes. Organic or Psychological causal models. Treatment involves medicine, cognitive restricting, and lifestyle changes. Evidenced Based. Hawaiian Healing Practices: Focus on spiritual/interpersonal complaints and causes. Causal Models based on imbalance in relationships and life roles. Treatment involves prayers, herbs and repairing relationships. Faith based. The Traditional Hawaiian culture strongly believes that all aspects must be in balance and if there is an unbalance that is when illness occurs. In order to regain balance one must search for the cause of imbalance, and offer apologies, expressing openness of ones feelings and asking for forgiveness when necessary. Native Hawaiians will turn to healing practices long before turning to medicine to help cure illness. These practices include; Lomilomi (LOH-mee LOH-mee) , this is a form of Hawaiian massage. For help in healing relationships that may have contributed to the illness they believe in doing Ho‘opono ( ho-o-pono), a spiritual counseling process used for mending a broken relationship. To help treat chronic illnesses and common illnesses they use La’ au Lapa ‘au, which are medicinal herbs. In the Hawaiian culture family is an important unit to them, which does not only include blood related this can be someone informally adopted by a conscious choice. Therefore involvement with family concerning any medical needs may be vital as part of the Hawaiian culture in treating these individuals . One of the most well-known traditions of the Hawaiian people is the exchange of the flower lei (ley). Leis are made with flowers, shells, leaves, feathers, or nuts . In ancient times, Hawaiians believe they were worn for beauty and distinguishment. The exchange of leis between chiefs of opposing groups signified an agreement of peace between them. Many people associate leis with the islands of Hawaii. Since the early 1900’s, leis have been used--along with an enthusiastic “aloha”--to welcome visitors to the islands, and to welcome natives back home . With few exceptions, leis can be worn anytime or anywhere. Leis should be draped loosely over the shoulders, with part of the lei draped in the front, and part in the back. There are a few pieces of etiquette to remember about the traditional lei: 1) The lei must always be accepted, never refused, and 2) The lei must not be removed when the person who gave it is present--it is impolite . Leis have become common accessories on the mainland United States at events such as graduations and birthdays. The Native Hawaiians believed firmly that spirituality needed to be part of daily life. Not only did early Hawaiians abide by the ruling of chief laws they also abided by the Kapuakua (Kah poo Kah), meaning laws of the gods. Breaking a kapu (kah poo) not only led to severe punishment but even death. Another important concept to the Native Hawaiian was mana (mah nah), meaning spiritual energy infused in most people and things, including words. Chiefs were thought to have the most mana , while a small group of people called kauw (kau) known as the untouchables, had none. Kauw were forced to live away from other Native Hawaiians so that their lack of mana (mah nah) would not drain it away from others who had mana . The early Hawaiians worshiped many gods and goddesses. To name a few of the most famous gods and goddesses are as follows: K, he (The creator), K, (gods of war and politics), and lono (LOH-noh) (god of agriculture, fertility, and peace). The annual harvest festival, makahiki (mah-kah-hee-kee), welcomed lono back to the earth to renew its fertility. During makahiki, which lasted from late October to February, there was to be no war, intense work projects, or politics could be undertaken during this time . The most well-known Hawaiian goddess is Pele, which she held dominion over volcanoes. The Native Hawaiian believed that when she was angry, she caused the volcanoes to spew lava and hot ash in expressing her displeasure. Some Hawaiians believe to this day that taking rocks from the volcanoes invokes her wrath, bringing misfortune to anyone who takes possession over them. The Goddess Pele was also believed to have a fun side to her. She was one of the patron Goddesses of the hula (hoo lah). Hula dances originally held religious meaning to the natives. A special hieau, meaning temple, was dedicated to the hula, where many dancers danced to please the patron goddesses with their performances. The hula today has evolved into dancing for many different reasons, including strictly entertainment . Today, religion in Hawaii is a product of the diversity of its culture and peoples. Approximately 50% of the population practices some form of Christianity, including Catholics and Protestants. Another large portion of the island’s population practices religions of Eastern influence such as Hindu, Buddhism, and Shinto. Other religions represented in the population include the Church of Jesus Christ of Latter-day Saints (Mormons), Jews, and Jehovah’s Witnesses . One of Hawaii’s spiritual traditions or beliefs is that of the ho’omana (ho-oh-mah-nah). Mana is a noun meaning power or energy. When the ho’o is added to the beginning of the word, it becomes a verb meaning ‘to empower’ or ‘to place in authority’ (12). This tradition is founded upon knowledge of the ‘three souls’ (12). There is a lower soul (uhihipili; ooh-hee-hee-pee-lee) connected to the physical body, a middle soul (uhane; ooh-hah-nay) connected to the mind, and a higher soul (‘aumakua; ah-oo-mah-koo-ah) connected with the supernatural—our higher selves. The three souls together form ‘the self’. When the three souls work together and act in harmony, the body is healthy and at peace. When there is conflict between them, the body experiences illness or problems . The Hawaiians view the soul as something entirely different from the self. The self is a mosaic of qualities and dimensions of the souls. The souls link our past lives and personalities with what we are in the present. The changes to one soul affect another, and each are in constant motion . Forgiveness in the Hawaiian Culture: Ho’oponopono (Ho-o-pono-pono) is an ancient Hawaiian practice of reconciliation and forgiveness. Ho’o means ‘to make’, Pono means ‘right’. When these words are repeated the Hawaiians believe that the words hold more emphasis and power. Ponopono means “to put to rights, to put in order or shape, correct, revise, adjust, amend, regulate, arrange, rectify, tidy up, make orderly or neat” . Ho’oponopono to the Hawaiian culture is a mental cleansing, a prayer of forgiveness and making things right with all those around them including themselves. According to the Hawaiians, this mental cleanse must be performed if they have harmed another person or themselves in thought, word or deed. Hawaiians who practice Ho’opnopono are ones that take a daily recollection of his or her thoughts. Through recollection of ones thoughts if one realizes that they feel intent to harm, any conscious or unconscious attitudes of malice, jealousy or hatred, must be taken out of their thoughts and replaced with aloha (a-lo-ha). Aloha in this sense, is recognizing the divine nature in every living thing . In ancient times Ho’oponopono was practiced by the Kahuna (Ka-huna) priests among family members of a Hawaiian who was physically ill. Today it is performed within the family by a family elder, or by the individual alone . Hawaiians strongly believe “it is a path to discover our own light, the divinity within us. It is a simple path, yet it is not easy. It is a humble path, not hurried and without artifices-a path within oneself to learn, to feel that we are all One and that we are Love” . 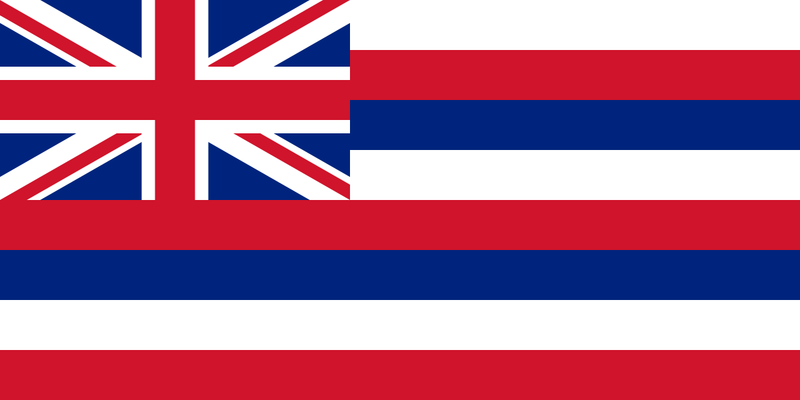 Hawaii is part of the United States of America, and as such has adopted English as the official language. Few older native Hawaiians still speak the Hawaiian language, but many residents of the islands use terms from the Hawaiian language intermingled with English words (15). Traditionally Hawaiians passed on their history and beliefs by singing special chants and telling stories aloud. No written language existed until American missionaries arrived in Hawaii in the 1800’s. The missionaries developed a 12 letter Hawaiian alphabet that included 5 vowels which were, a,e,i,o,u and 7 consonants which were, h,k,l,m,n,p,w. These letters matched the sounds of the spoken Hawaiian language. Today, Niihau being the only island where Hawaiian is still commonly spoken, there is a growing interest in wanting to learn the language. Some elderly Hawaiians still speak the language in their homes, and schools offer classes to teach the children the Hawaiian language. In the Hawaiian language the word Aloha (ah-LOH-hah) can mean both hello and goodbye. Aloha also expresses a feeling of affection or love for other people. Hawaii earned the nickname the Aloha State from their ancient traditions of being friendly . Some of the common words of the Hawaiian language include: aloha (ah-LOH-hah)hello; goodbye, alohaaina (ah-LOH-hah-ah-EE-nah)love of the land, haole (How-lee)white person; mainlander, kupuna (koo-POO-nah)grandparents, mahalo (mah-HAH-loh)thank you, ohana (oh-HAHN-nah)family, pau (PAH-oo)finished; over, . Wahine (wah-hee-nay)women, Kane (kah-nay)men, Kahuna (kah-hoo-nah)someone with expertise in a particular subject, Kapu (kah-poo)taboo (sacred or forbidden areas or practices)(15). As modern language and technology continue to evolve, Hawaiian language specialists have developed Hawaiian words to match. For example, the Hawaiian word for “database” is hokeo ikepili (hoh-kay-oh ee-kay-pee-lee). Hokeo is the traditional word for the typical storage container. Ike means knowledge, and pili refers to relationships (15). In ancient times and the earlier years of Hawaiian history, the diet of the Hawaiian people was among one of the healthiest, and the people were healthy and physically active—gathering, hunting, and cooking (17). Continuing into the 19th century, some of the favorite local dishes imported by the Portuguese included dishes such as bean soup, sausage and sweet bread. Japanese influences included foods such as seaweed salad and sashimi, and the Koreans brought with them Kalibi, also known as barbecued marinated short ribs. Chinese food is also very popular in Hawaii as evidenced by the many Chinese restaurants in Chinatown on Oahu (O’ahu). All of these foods are still popular in modern day society in Hawaii. Some of the locals may consider spam or loco moco (lo co mo co) their favorite staple food, but the ultimate staple food in Hawaii dates back to ancient times which is poi. Poi is a sticky paste made from ground taro root and is usually accompanied with fresh fish. One important thing to remember if you are visiting Hawaii is not referring to poi as “wallpaper paste”, it is seen as disrespectful. In ancient times poi was considered a sacred aspect of life and today it continues to be thought of with reverence by the Hawaiian people . Currently, there continue to be such a vast variety of ethnic groups in Hawaii that Hawaiians play host to a melting pot of culinary influences from around the world. As society has become wealthier in general, the food habits of the Hawaiian people have evolved to include a more high fat content and less of the traditional diet staples. Obesity is common and of epidemic proportions in Hawaii. It is estimated that 20 percent of children in Hawaii are obese. This can be attributed to hereditary factors, inconsistent education, and lifestyle choice (17). In the mainland United States, the “Hawaiian cuisine” that is served is more similar to the celebratory luau meals that are not often consumed in Hawaii (17). A tradition that carries in Hawaii still today is the marking of a child’s first birthday by hosting a backyard luau (lu’au) with an authentic imu (im’u). What this entails is cooking a pig in an underground oven or imu. The imu is layered with crushed banana stumps or banana leaves to create flavor and steam. Other items that may also be added include breadfruit and sweet potatoes. When visiting Hawaii a tourist will often see an authentic imu in action at several resort luaus . In Hawaii the timezone can be anywhere from three to six hours behind the mainland depending on where you are. Hawaiians also have a reputation of having their own time zone and this is often joked about by the people, this is known as “Hawaiian Time.” It has been said that “It’s Hawaiian Time that keeps everything at a mellower pace” .Often times people from Hawaii are late for everything, no matter the occasion—social or business—they are late. For example, a concert that has been scheduled for 8 pm may not begin until 8:15, or a party that was set for 8:30 may not start until 9:30. Even the news begins late sometimes—a 10 pm newscast often does not start until perhaps 10:10 . Therefore Hawaiians are hassled that they live on “Hawaiian Time”. Though this is not true necessarily for everyone, it is definitely true for many Hawaiians. One of the reasons that Hawaiians state that they are known to live at a slower pace is because of all the natural beauty around them. Given all the beauty and majesty of the Hawaiian landscape, one cannot help but get lost in the laid-back ways. Hawaiians do not like to be in a rush: “it is subtle nonchalance that translates through Hawaii’s people and finds a home in the warm embrace of the culture” . Another interesting fact is that Hawaiians use their own time clock in many situations. Instead of numbers on the clock it consists of Watevas (whatever, whenever), Bum-bye (by and by, to do later) and Laytahs (to be there later). To tell time with this clock depends on the person and situation. These Pidgin-English words are known to come from the early Hawaiian plantation workers and are still used by the locals today . In ancient Hawaii, before their exposure to the time reckoning methods of the European explorers, they followed a pattern of lunar months, and declared 12 months to be a year, adding a 13th month every third year . Today, Hawaii’s social structure and relationships are much like the rest of the United States. However in ancient Hawaiian times a strict social structure did exist. The Polynesians that inhabited the land established a hierarchical society that was based on very strict rules. The mo'i (mo-i) was the main ruler of a specific area, also considered as the king of the lands. The mo'i led the people during wars . He owned all annual taxes and oversaw important religious rites . The ali'i (ahlee-ee) was next in line to the mo'i. The overall ranking system of the ali'i was based on genealogical standing, which could be complicated. A chief had to find a woman to marry that was of similar rank. If not, he would have to marry his sister or his brother’s daughter. The child from this union would maintain the rank of his parents . The duties of the ali’i included preparing meals for the mo'i, watching over him while he slept, and entertaining him through dances and chants . The Maka'ainana (mah-kah-aye-nanah) refers to the commoners who made up most of the ancient Hawaiian population. Just like in other cultures and ancient civilizations, these commoners performed most of the labor needed to sustain the community such as fishing, farming, and construction. One of the unique aspects of the Hawaiian society was that the maka'ainana could actually go and live in another area if the leaders and chiefs were too difficult to deal with . Lowest in rank was the kauwa (kau-wa), who were considered outcasts of society. People in this class were usually slaves or prisoners of war . Another part of the ancient Hawaiian culture was the fact that priests were also highly respected because of the people’s deep spirituality. These priests were called on as kahuna (ka-hu-na) by all because of their mastery of religious rites or other areas of specialization, such as medicine or crafting/building . The Native Hawaiian approach to learning has become such a success in today’s society due to the teaching strategies that build on Native Hawaiian values that promote a positive attitude toward engaged learning. This approach to learning is based on olelo no‘eau, (or wise sayings), about the Hawaiian worldview and values. This type of learning strategy also includes lessons in behavior, protocol, relationships, land management, arts and spirituality. The following sayings makeup the Hawaiian approach to learning . Nānā ka maka (Na-Na-ka-ma-ka) (The eye sees.) For the learner: Observe the task to be done. For the teacher: Model or demonstrate the task. Hoʻolohe ka pepeiao. (Ho-ol-o-he-ka-pepe-i-ao) (The ear listens.) For the learner: Listen to the instructions and any other sounds that clarify the task (wind, rain, ocean, or materials being used). For the teacher: Not all instruction is with words. Paʻa ka waha. (Pa-a-ka-wa-ha) (Secure/shut/fasten the mouth.) For the learner: Be silent and process the two steps above. For the teacher: This is the critical thinking stage. Hana ka lima. (Hana-ka-li-ma) (Put the hands to work.) For the learner: Learn by doing. Mimic the teacher's work. For the teacher: Observe and check the student's work. Nīnau. (Nin-ya) (Question.) For the learner: Questions may be asked only after the previous steps have been done at least one more time; twice is ideal. For the teacher: Send the learner back the previous steps again to self-correct/learn by doing . Currently, the Hawaii Department of Education has a Strategic Plan in place that will monitor progress in certain target areas and catalyzes reform in the department. The plan extends through the year 2018. Three main goals have been identified: 1) Student Success, 2) Staff Success, and 3) Successful Systems of Support. Students, when successful, are on the path toward successful higher education, career training, and contributing citizenship. Employees (staff) participate in training programs that support professional development and allow them to contribute to student success. The Department of Education ensures that there is support for student success through community, financial, and personnel resources . Native Hawaiians were known for their expertise in canoe building. The tradition was, in order to use a tree from the forest for the canoe building it required that Hawaiians offered prayer and food to the forest Gods before and after taking the tree. Cultural protocols determined how exactly the tree would come down in order to even use the tree . Early Hawaiians were also master non-instrument navigators. Hawaiians were known to traverse the Pacific using only the sun, moon, stars and waves, which resulted in the occupation of many small islands in Polynesia. “The Hawaiians had an intimate knowledge of the location and types of celestial bodies, everything from the North Star to the south cross have Hawaiian identities and lore” . Modern day Hawaii offers many jobs in Maritime, Health care and Skilled labor. Compared to the rest of the United States, Hawaii has experienced more job creation in IT (Information Technology) and Healthcare Industries. Other jobs such as ship engineers are expected to triple in 2014 with an almost 200% increase. Commercial fishing and International Trade Expansions are what make these figures realistic. Military expansion increased 22,000% in a single year in Hawaii and visitor attraction types of employment continue to expand . There are differing accounts of the ancient or native Hawaiian people and their health status and correlated work ethic. Researches in most recent times describe a people who were lazy, carefree, and slovenly. They claim that this contributed to the thought that the ‘Ka po’e kahiko’ (the people of time past) were overweight or obese, and susceptible to illness and disease. However, the oral traditions of the few remaining native Hawaiian peoples describe an entirely different kind of people. There were military successes and dance competitions. One source claimed that the native peoples were tall and muscular. They describe grace, stateliness, and nimble movement. They say the people were energetic, active, and strong; and that physical activity was an everyday part of their lives . Hawaii’s diverse population, including both older natives and younger people more susceptible to the influence of western culture, causes a need to maintain some of the traditional health practices; all the while remaining up-to-date on current healthcare trends. In 2009, healthcare expenditures in Hawaii reached $8.8 billion, which accounts for over 13 percent of the total economy. Gaps in Hawaii’s healthcare are similar to those found on the mainland United States and include: insufficient primary and preventive care, too little reliance on evidence-based medicine, limited availability of electronic medical records, lack of transparency about costs and quality, and minimal attention to the concerns of patients and their involvement in their own healthcare decisions . Some of the major health problems of the Pacific Islands—including Hawaii—are obesity, Diabetes Type II, and hypertension, which further lead to cardiovascular and cerebrovascular diseases. In fact, over 57% of adults in Hawaii are overweight or obese, and 14% of high school students are overweight . There are many challenges in being able to provide modern healthcare to a population that is dispersed over such a large area. Many islanders succumb to treatable illnesses and traumatic injuries because healthcare is relatively unavailable. Another important health problem to be aware of is that most of the world’s deaths from tuberculosis occur on the Pacific Islands and Asia. Rheumatic fever and rheumatic heart disease continue to be significant problems on the Pacific Islands. Today, because of such variability in cultures that reside in Hawaii, it is important for the healthcare professionals to recognize the non-western health beliefs and practices that may influence care of much of the older native population. Healthcare professionals are advised to identify cultural guides or informants of whatever community they are in and ask for education and guidelines on how to treat a particular community to avoid distrust and misunderstanding . Some of the beliefs to be aware of concerning the traditional Hawaiian culture are that they strongly believe that all aspects of body, mind, and soul must be in balance. Illness occurs when there is an imbalance between any of the three. In order to regain balance one must search for the cause of imbalance and offer apologies, expressing openness of one’s feelings and asking for forgiveness when necessary. Native Hawaiians will turn to healing practices long before turning to medicine to help cure illness . A Community Learning Center. (2014) A culture unfolds. Retrieved Sept 9, 2014 from http://www.hawaiihistory.org. The Native Hawaiian Hospitality Association. (2007) Hawaiian Culture Initiative: Action Plan. Retrieved Sept 10, 2014 from http://www.nahha.com/docs/Final-Action-Plan-012508KW.pdf. Hawaii Tourism Authority. (2014) The Hawaiian Islands. Retrieved Sept. 10, 2014 from http://www.gohawaii.com/statewide/guidebook/hawaii-arts-and-culture. Alternative Hawaii. (n.d.) Beliefs and Values: On Being Hawaiian. Retrieved September 13, 2014 from http://www.alternative-hawaii.com/hacul/beleifs/htm. Evercare. (2008). Developing Cultural Proficiency: Understanding & Serving the People of Hawai’i. Retrieved September 22,2014 fromhttps://www.uhccommunityplan.com/content/dam/communityplan/plandocuments/culturalcompetency/en/HI-EverCare-QExA-Cultural-Competency.pdf. Johnston, J. (2002). Hawaii: Hello U.S.A. Minneapolis, MN. Lerner Publication Company.